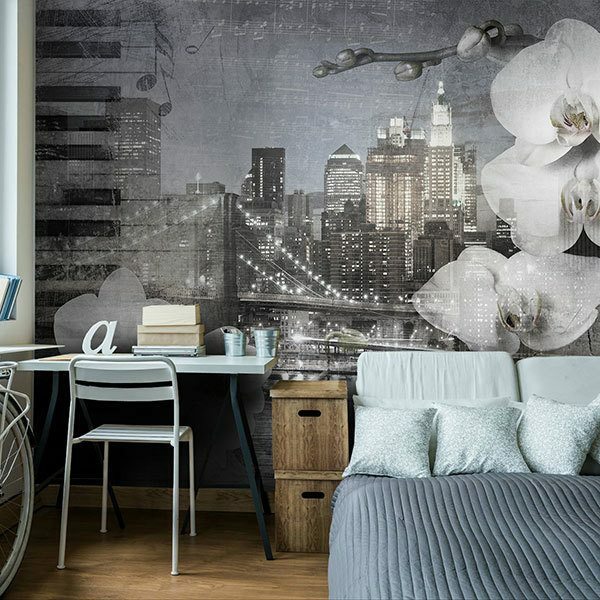 Wall mural Collage Orchids in New York. 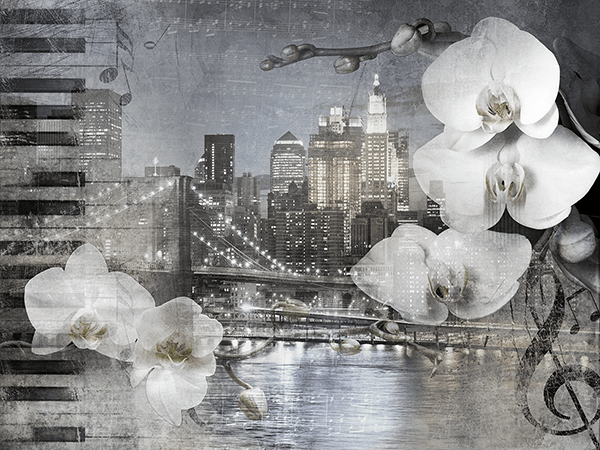 Fantastic montage of a nocturnal panoramic view of Manhattan with orchids, a piano and musical notes. 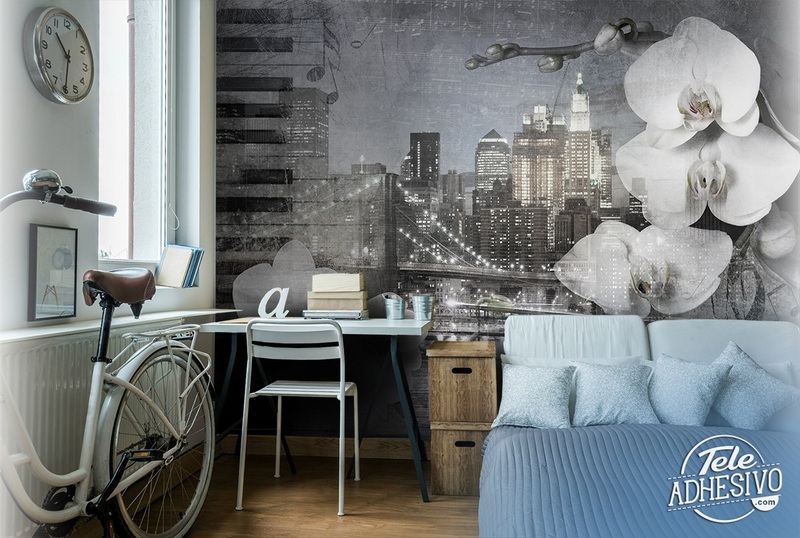 In little saturated tones without great intensity, where the glazes, a worn texture or the scores of the background of the composition stand out.